Ecommerce Website Redesign Hampton Roads | Here is another great website design by VISIONEFX. A small business company’s website is its front door in the online marketplace. Ask yourself; Does Your Brand Communicate Online? You want make a strong first impression with a branded website design, easy to navigate, that instantly communicates your business with respect to who you are, what you do and how you do it! Getting you found on major search engines Google and BING are also part of what we build into your website. After all if a website that does not generate leads and new business isn’t doing its job. 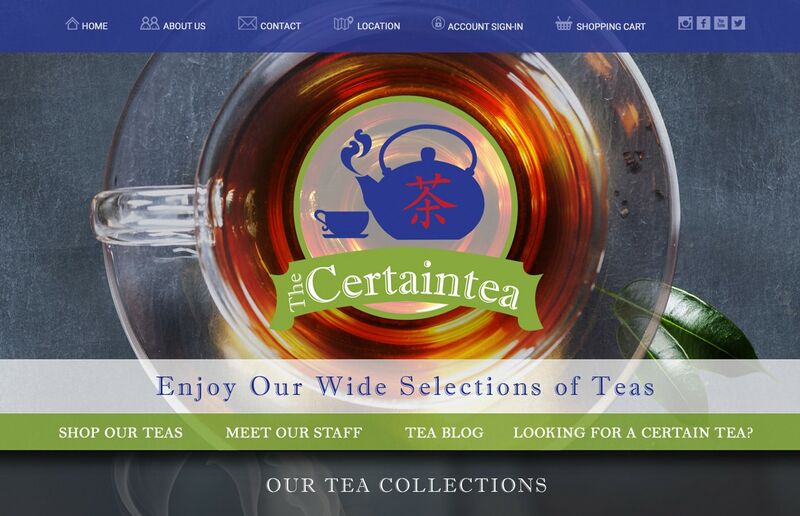 This recent successful eCommerce web site project for The Certain Tea provides a competitive branded website presence in a highly competitive space. This new custom website design features colorful product images, call-to-action product navigation and detailed shopper pages. See our ‘View Our Design Process‘ link below and browse all the creative concepts we develop before building you that perfect website design that is tailored to your business brand. Or maybe get inspiration for your own brand or marketing project. Call VISONEFX at (757) 619-6456 or email direct to info@visionefx.net.